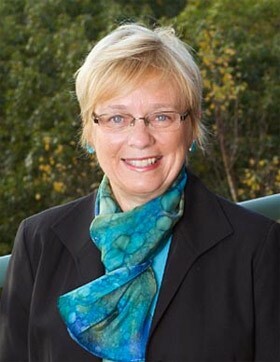 Dr. Susan Avery, President and Director Emeritus, Woods Hole Oceanographic Institution (WHOI) - Dr. Avery is an atmospheric physicist with extensive experience as a leader within scientific institutions. Avery was the President and Director of WHOI from 2008-2015, the first atmospheric scientist and the first female scientist to take the position of director in the WHOI's history. Under Avery’s leadership, WHOI increased the application of its knowledge to societal issues, providing high-quality data and analysis across a range of topics, from climate to biodiversity to resources to natural hazards mitigation. Dr. Avery came to WHOI from the University of Colorado at Boulder (UCB), where she most recently served as interim dean of the graduate school and vice chancellor for research. From 1994-2004, Avery served as director of the Cooperative Institute for Research in Environmental Sciences (CIRES), a 550-member collaborative institute between UCB and the National Oceanic and Atmospheric Administration (NOAA). Avery was the first woman and first engineer to lead CIRES. Dr. Avery was a member of the faculty of the University of Colorado at Boulder since 1982, most recently holding the academic rank of professor of electrical and computer engineering. Dr. Avery’s research interests include studies of atmospheric circulation and precipitation, climate variability and water resources, and the development of new radar techniques and instruments for remote sensing. She also has a keen interest in scientific literacy and the role of science in public policy. She is the author or co-author of more than 80 peer-reviewed articles. In 2013, Dr. Avery was named to the United Nations’ newly created Scientific Advisory Board that provides advice on science, technology and innovation for sustainable development. Dr. Avery is a fellow of both the Institute of Electrical and Electronics Engineers and of the American Meteorological Society, for which she also served as president. She is a past chair of the board of trustees of the University Corporation for Atmospheric Research.